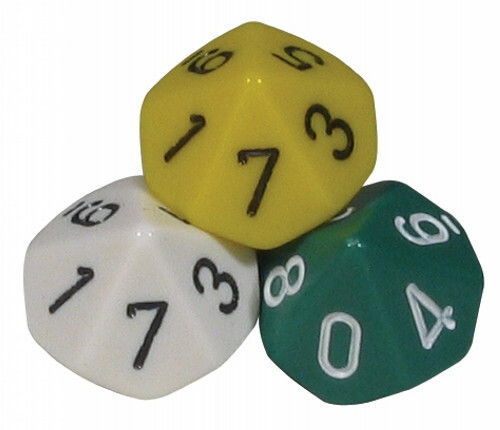 These 10-sided dice are 16mm and come in assorted colours in a set of 10 pieces. 0-9 dice generate all of the digits used in our number system. Ideal for place value.